Artfully crafted and much sought after tops that are no longer available on the website. 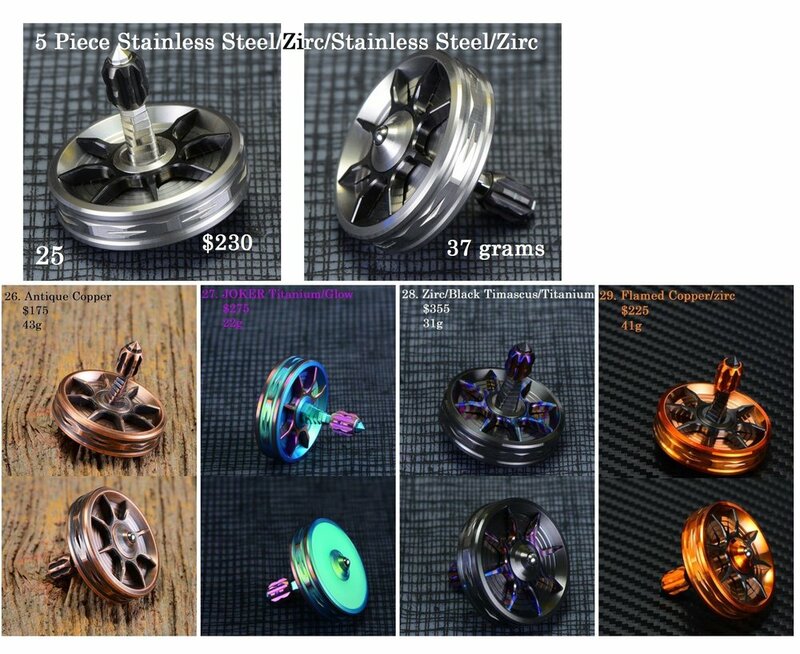 Introducing the Evolution, the next stage in the evolution of BilletSPIN spinning tops. Featuring for the first time ever in a BilletSPIN top a free-floating spinning inner disc, riding on a stainless steel shielded bearing. This fidget top has a semi hollowed stem with milled grip, dimple pattern inner disc, tire rim diamond pattern collar and a double angle base with a wide radius for easier spins. Offered in standard and exotic combos!